These days nearly everyone has heard of Macklemore, the Seattle-born rapper. However, much of his work is a collaborative effort with many other talented singers and musicians. Never one to hog the limelight, Macklemore has actively promoted all the people he has worked with. 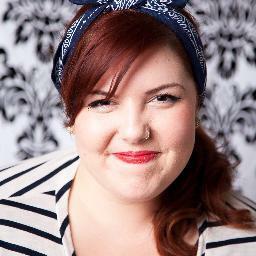 One of the voices you may recognize is that of Mary Lambert. She is the female vocalist on the song “Same Love” which has become an anthem of the fight for gay marriage. Lambert grew up in Everett, just north of Seattle, but she didn’t instantly shoot to stardom. Lambert’s life was not always easy. Her parents got divorced when she was five-years-old. Afterward, her mom came out as a lesbian. Their church ostracized them for admitting the truth. They experimented with other forms of religion, including drum circles. When she also realized she was a lesbian, she went through some dark times. She drank a lot and even became suicidal at one point. Her church said it was okay to love gays and lesbians, but not to actually be gay or lesbian. There were some very confusing messages. “I would repent to God and ask God to forgive me,” Lambert said. “But then I realized that’s crazy because this is innately who I am,” said Lambert. She attended Cornish College of the Arts with help from a Bill and Melinda Gates Foundation scholarship. It was during that time she decided to clean up her act and record an album over a grueling two years. Six months later, she got an email from Ryan Lewis asking her to try out to be in Macklemore’s newest album. She jumped at the chance. During that time, she was barely making ends meet. She was working three jobs to pay the bills. When she got the email, she scrambled to write some lyrics in only two hours. She didn’t hear back for two months. She finally got the call that she would be on the album. The rest is history.